Stone Bridge Press, 9781611720051, 520pp. Yoshiyuki Tomino: Yoshiyuki Tomino is one of Japan's best known sci-fi animation directors, and the author of numerous fiction and non-fiction books. Since working on the Tetsuwan Atomu (Astro Boy) series in 1964, he has directed or created some of Japan's top robot and fantasy-themed works, for television, theaters, and the original video anime market. 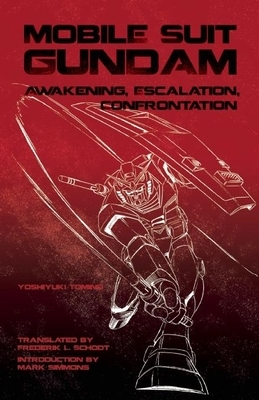 Best known for the hugely popular Gundam TV shows, in recent years he has attracted attention for his works, Brain Powrd (1998), Turn A Gundam (1999), and Overman King Gainer (2002).Frederik L. Schodt: Frederik L. Schodt is a translator and author of numerous books about Japan, including Manga! Manga! and Dreamland Japan. He often served as Osamu Tezuka's English interpreter. In 2009 he was received the The Order of the Rising Sun, Gold Rays with Rosette for his contribution to the introduction and promotion of Japanese contemporary popular culture.Mark Simmons: Mark Simmons is author of the Gundam Official Guide.